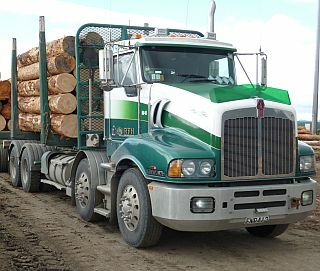 Truck drivers are in one of the unhealthiest and deadliest jobs in the country with a 13 times higher risk of dying at work than other Australians, a landmark study has found. The 12-year Monash University study of more than 120,000 insurance claims between 2004-2015 for work-related injury and disease found truck drivers were at higher risk of illness, psychological stress and other injuries. The claims added up to more than 1 million lost weeks of work over the 12-year period. The research has found that truck drivers made more injury related claims than bus drivers, delivery drivers, automobile drivers, rail drivers and other male dominated occupations. Musculoskeletal injury was the most common injury, accounting for about 60 per cent of all accepted workers' compensation insurance claims and resulting in about five weeks off work for many. While more than three quarters of fatalities were due to vehicle crashes, they accounted for less than 17 per cent of the overall burden of injury and disease when measured as weeks lost from work. The remaining 83 per cent was caused by musculoskeletal and psychological stress, falls, slips, trips and other factors. Study leader Professor Alex Collie, from the Monash School of Public Health and Preventive Medicine, said truck driving was highly sedentary and had many health risks. “It has long working hours, lots of sitting, poor nutrition, social isolation, shift work, time pressure, low levels of job control, all in addition to the risk of road crashes,” he said.